Airbnb, the site that lets people rent their spare rooms or even full homes to visitors, has changed how we travel in many ways, one being that we’ve gotten to experience really unique accommodations that would never have been available otherwise. Over the past few years, we’ve used the site to stay in apartments, houses, cabins, and even a yurt and a treehouse, in U.S. and elsewhere. 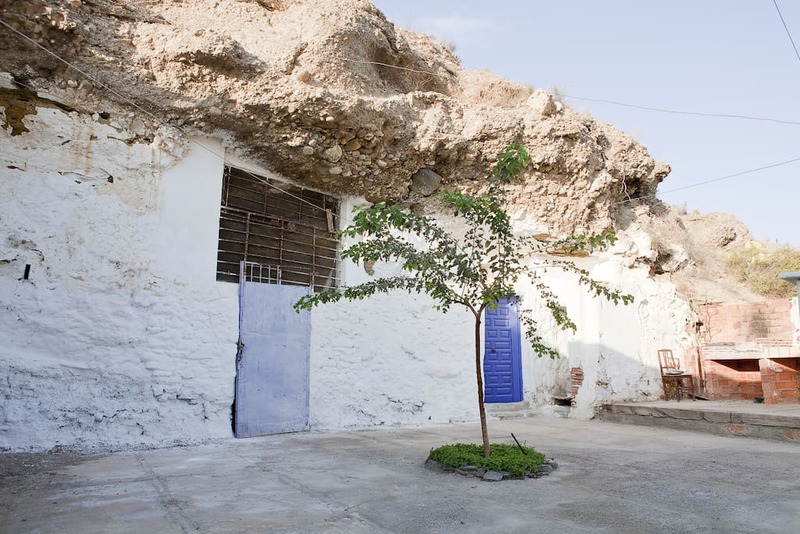 The Internet has plenty of lists of “The Best/Weirdest/Craziest Airbnbs That You Have to Put on Your Bucket List and See Before You Die!” that show some of the coolest and most unusual places you can rent. The catch? Most of the places listed are insanely expensive. 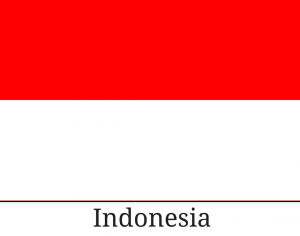 And honestly, those lists even feed the stereotype that unique travel experiences (or travel in general) are out of reach for most people. Don’t get me wrong, I’d love to sleep in a futuristic treehouse in Sweden. And sure, maybe someday that will seem like it’s worth $400 a night. But until then, I’m excited to put these Airbnbs on my bucket list – they’re just as awesome, but much more accessible for budget travelers. And if you haven’t used Airbnb before, we seriously recommend you give it a try. Sign up with this link to get $35 off your first stay! 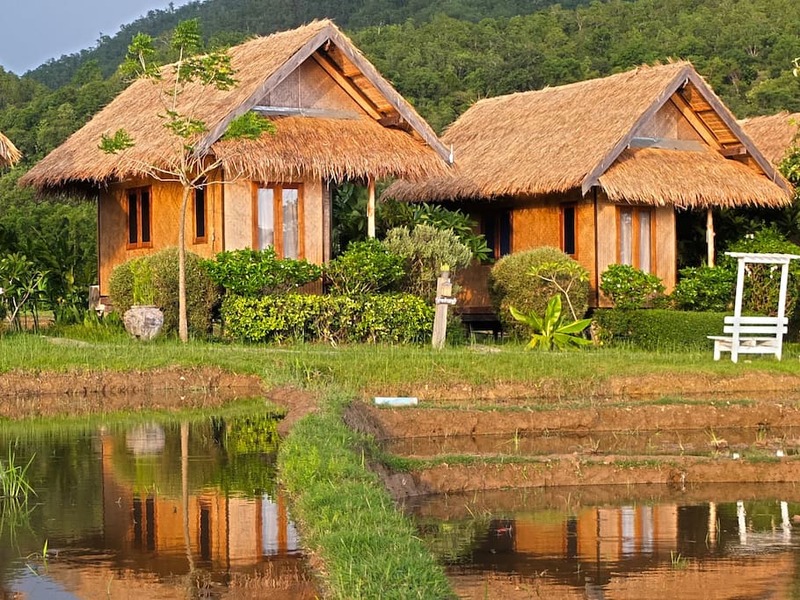 These little cottages are located half a mile outside of Pai, a haven in northern Thailand for yogis, hippies, and people who just want to chill out. And if you’re worried they’re a little too rustic, the gorgeous design details in their other photos should put that fear to rest. $34/night. A View Custer Saw – Devil’s Tower, Wyoming, U.S.
Why not become the only person you know who’s ever stayed in a tipi? This one even has a view of Devil’s Tower National Monument (it’s only two miles away). 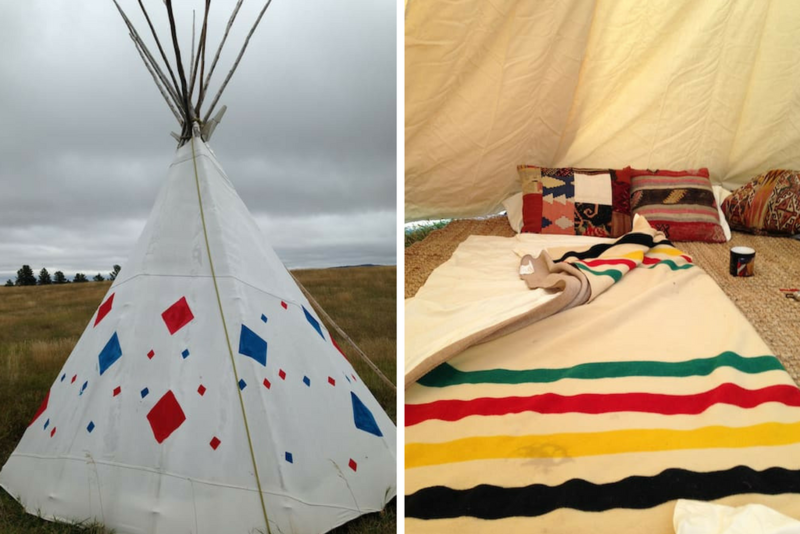 And in case you thought it was just a gimmick for tourists, the owner lives full-time in another tipi on the property. $50/night. This place is in a colorful apartment building, and as the name suggests, has super-high ceilings and lots of light. Though it may be tempting to lounge the day away inside, it’s located near the popular Taksim Square in the European part of Istanbul. $31/night. 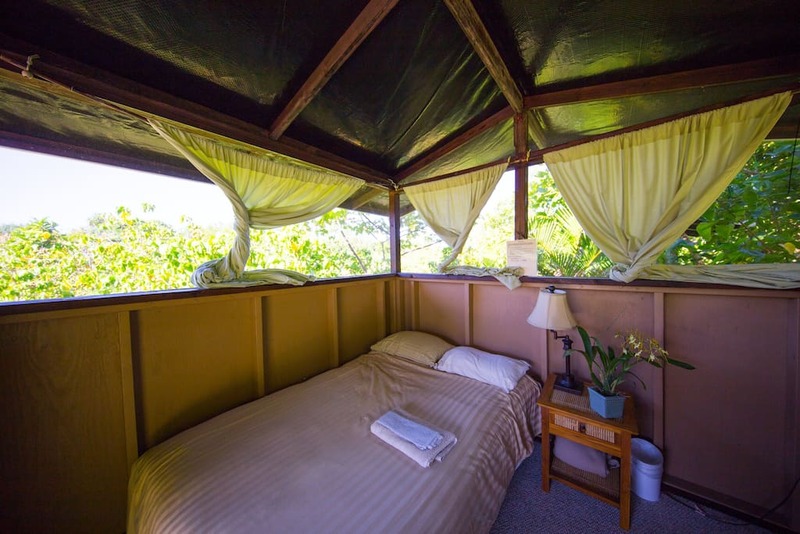 Orchard Mini-Cabin – Pahoa, Hawaii, U.S. 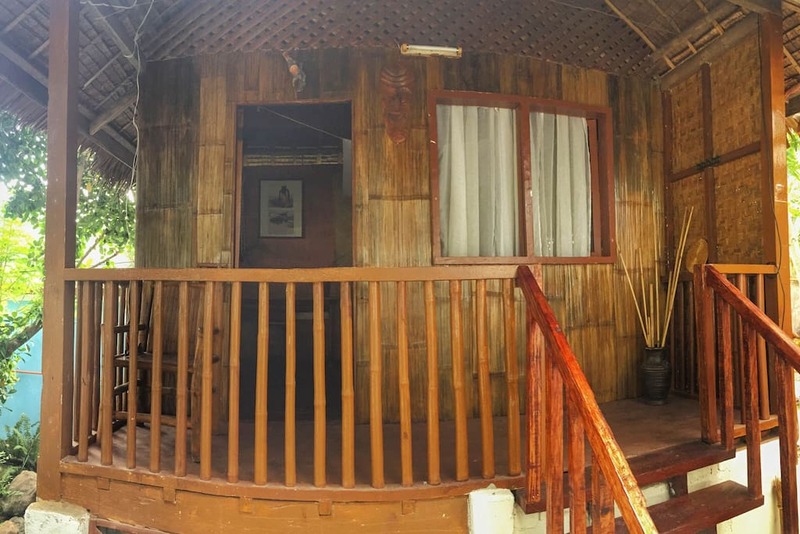 This little cabin is part of an 11-acre ecological center, which features a yoga hall, a meditation pavilion, and trees growing 30 kinds of tropical fruits. It’s completely off the grid, relying mainly on rainwater and solar power, and only vegetarian food is served. Sign me up! $50/night. This cave house in rural Spain was built out of a mountainside over 100 years ago. If you’ve never slept underground before (and who has? ), that seems like a good enough reason to stay here. $41/night. Situated on the edge of South Africa’s Amatole Mountains, this eco-lodge offers opportunities for plenty of adventure activities, including hiking, horseback riding, motorbiking, canoeing, and mountain biking. The staff will prepare organic meals on request. $48/night. This traditional home was renovated ten years ago, but it looks like it retained all its 1870s charm. 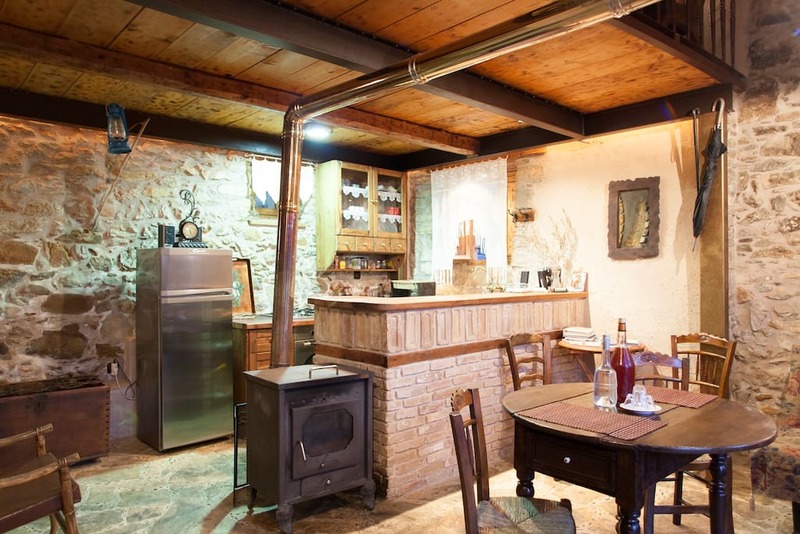 To get a taste (or a sip, rather) of the local culture, try the homemade raki provided for guests. $33/night. Why yes, a two-story treehouse with a private terrace and loads of detailed design touches sounds lovely. Of course a place like this would only be located among the rice paddies in Bali’s cultural heart of Ubud. $37/night. 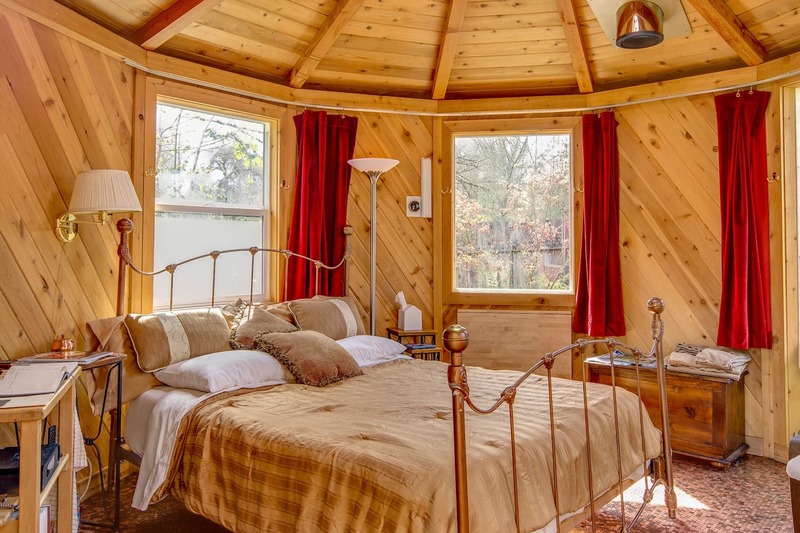 Private Roundhouse – Eugene, Oregon, U.S. 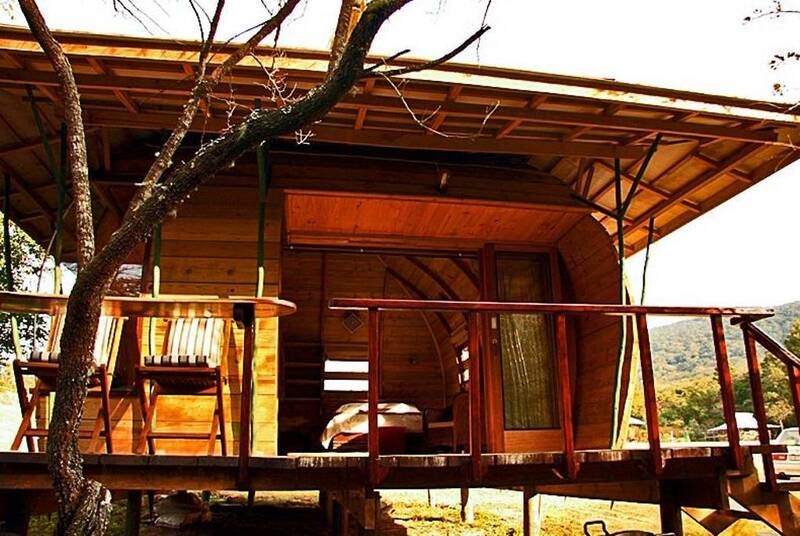 This charming round cabin, along with a couple other unique rentals, was created by the owner, who likes to design spaces that aren’t in a box. That seems fitting for Eugene, a city that, according to Wikipedia, “has a significant population of people in pursuit of alternative ideas.” $48/night. I was admittedly skeptical of this caravan until I saw the photos of the inside, which somehow has space for a double bed, a kitchenette, and a table with booth seating. The caravan is situated among gardens and poplar trees, and the bathroom and a full kitchen are just 100 feet away. $45/night. This apartment’s selling point is its mix of the traditional and the modern, seen in the furniture and décor. 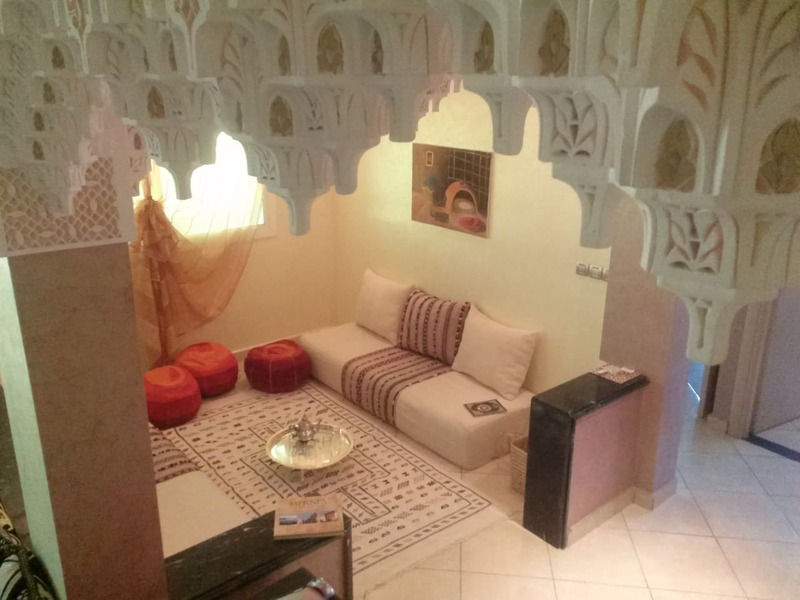 The three bedrooms can sleep up to six people, and it’s located just five minutes from the medina of Meknes. $40/night. 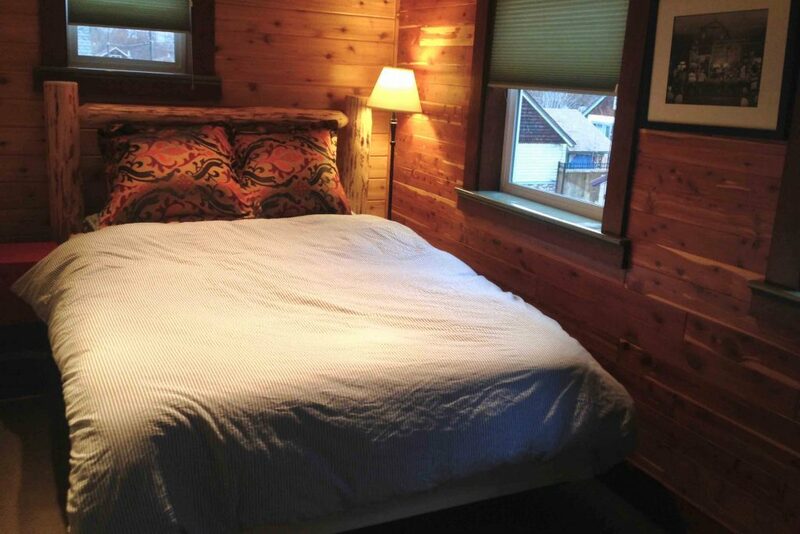 A two-story cottage that sleeps three people and has a private bathroom, for $13? For budget travelers, the Philippines is evidently the place to be. 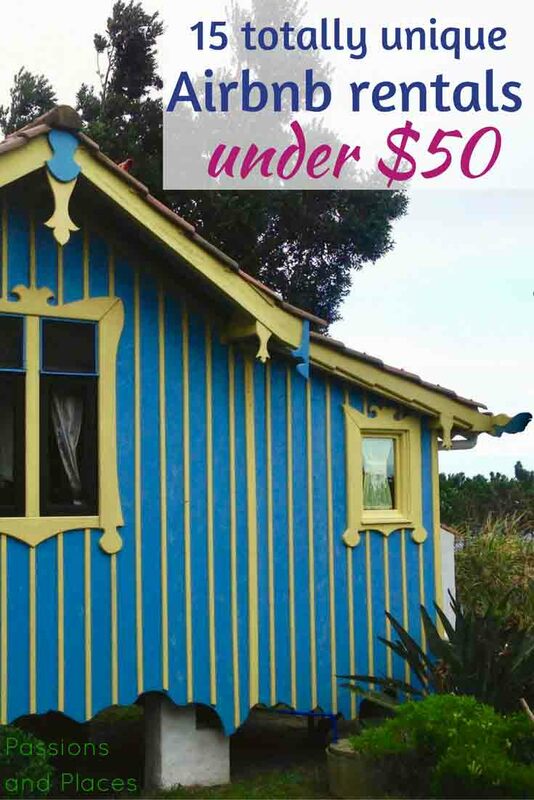 And if you assumed the low price meant a bad location, this cottage is right on the beach. $13/night. 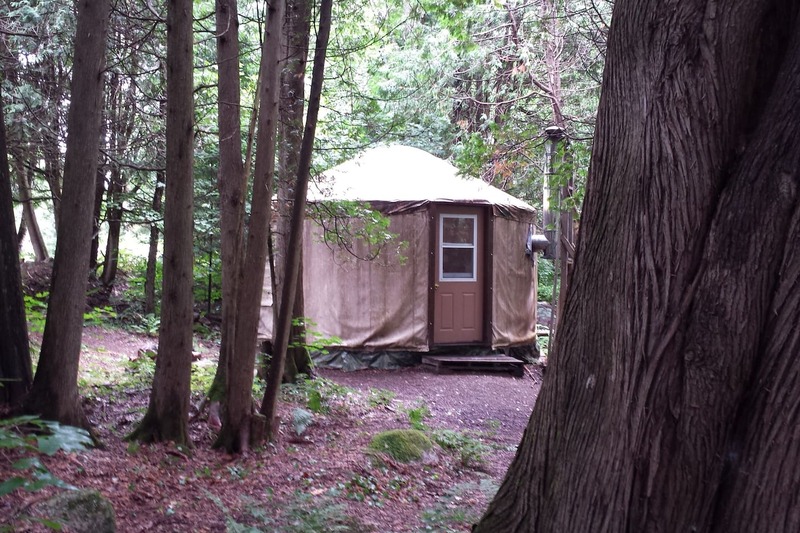 A yurt is a pretty good middle ground between camping and glamping – there’s no electricity or indoor plumbing, but it’s insulated and has a bed. Come to think of it, if you have a bad back but don’t mind roughing it, a yurt might be perfect! $38/night. 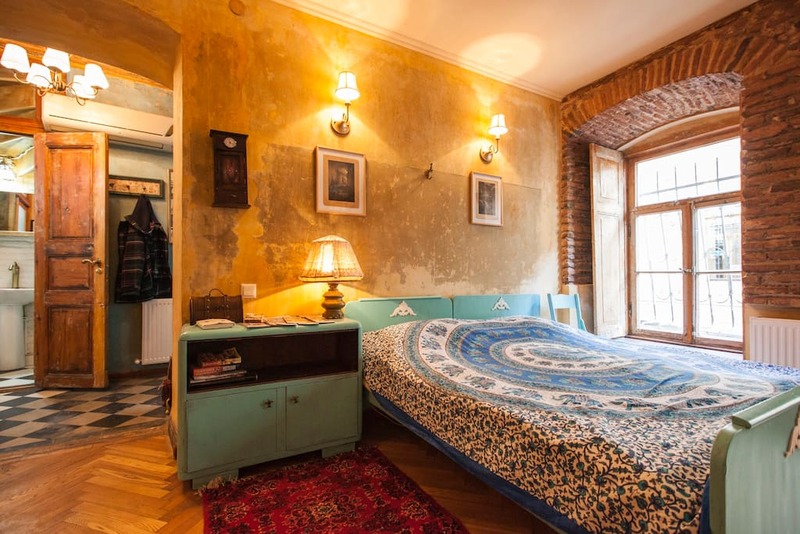 This historical Georgian house in the center of Tbilisi was home to artists, poets, and writers after it was built in 1880. Its walls, windows, doorways, balconies, and even furniture all distinctly look like they’re from a bygone era. $44/night. Airy spaces, bright colored walls, and lots of natural light make this cabana look as tropical as it probably is. Plus, it sits among gardens and near a swimming pool. 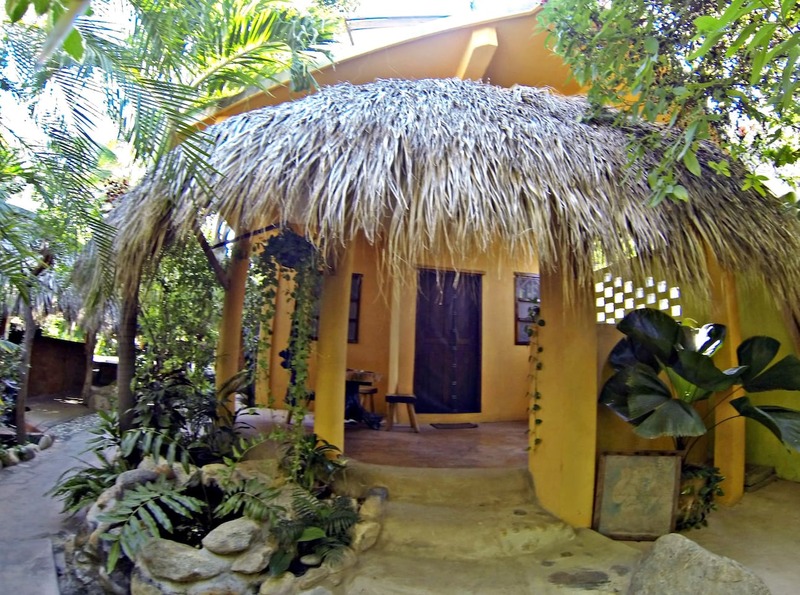 The owners also offer massage and own a surf shop on the beach, which is three minutes away. $27/night. 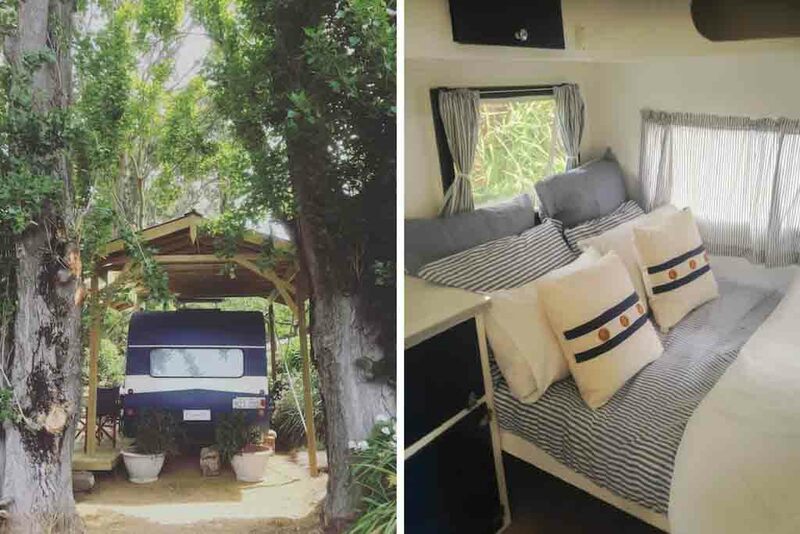 What’s the coolest rental you’ve stayed in? If you haven’t used Airbnb before, sign up here to get $35 off your first stay, and let us know where you go! The Airbnb link is a referral, meaning if you use it to sign up and get your credit, we’ll get a credit, too! 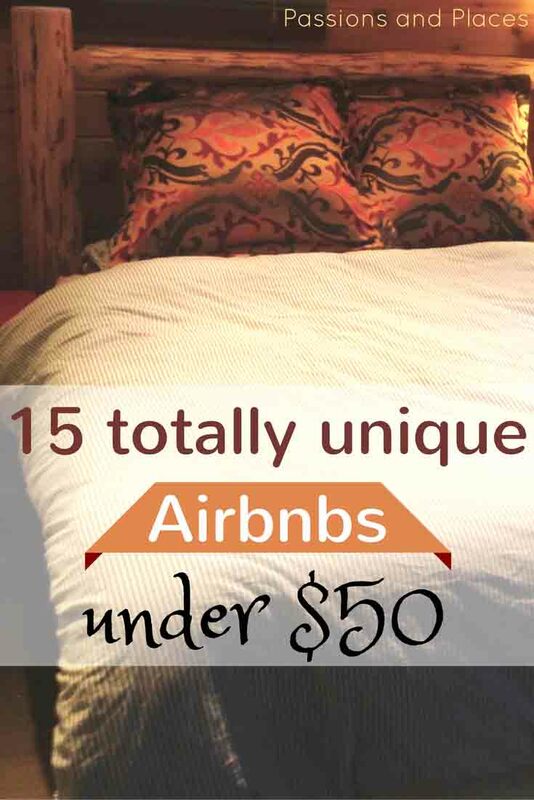 All photos are from Airbnb. These are so cool! 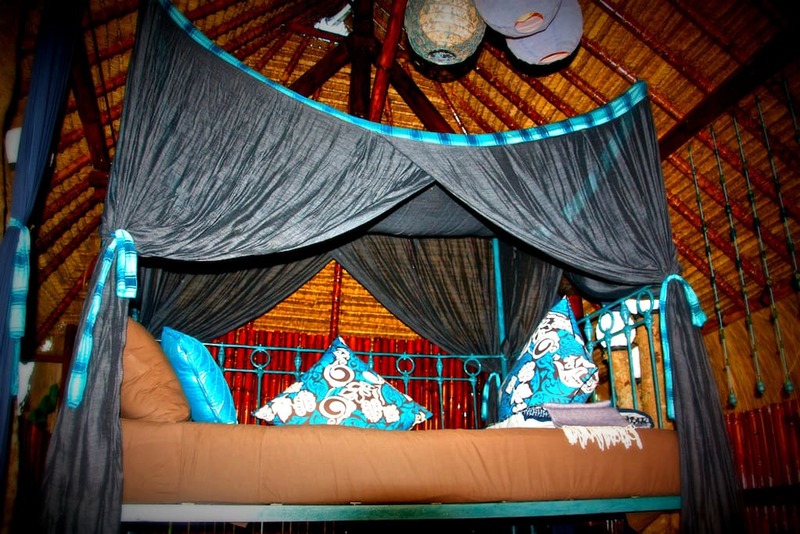 Particularly like the eco lodge in South Africa – looks fabulous! Thanks! What made you go back to hotels after trying Airbnb? It’s always fun to stay somewhere a little bit different! I like the eco-lodge and bamboo tree house best. Totally agree, it’s fun to look back on some of the more unusual places we’ve stayed. 🙂 Thanks for commenting!